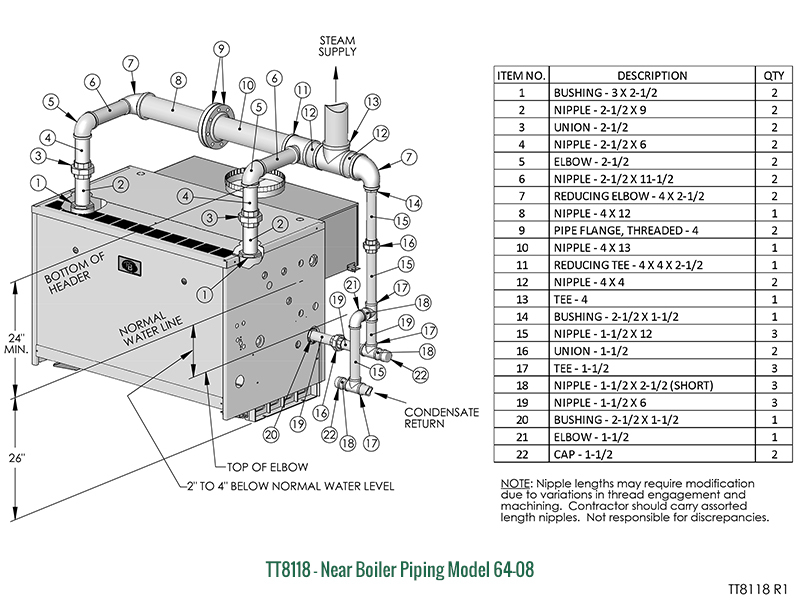 Save time and money with complete Near Boiler Piping Kits, available for Series 63™ and Series 64™ boilers. Each kit contains all components necessary (including Hartford Loop connections) for a seamless, worry-free installation. 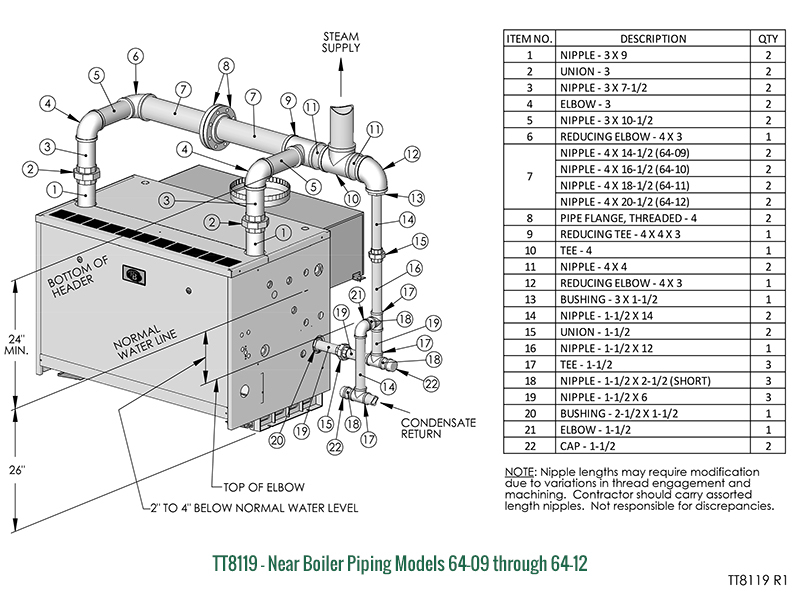 Three different kits are available for specific Series 63/64 boiler models. 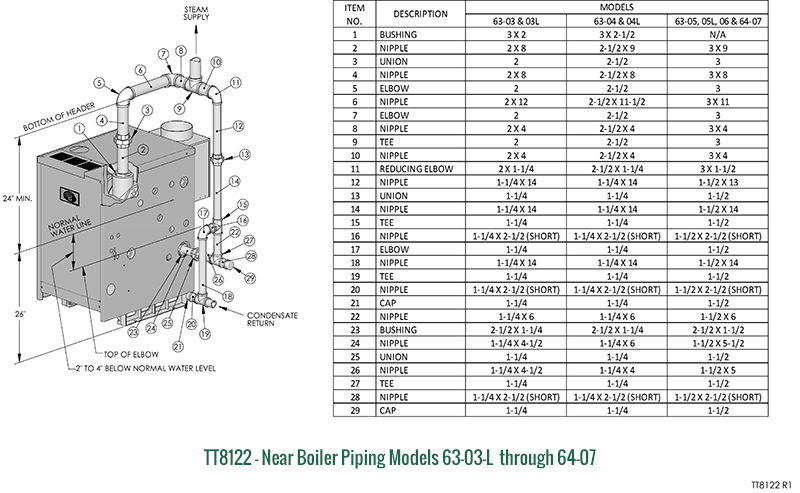 Net Ratings are based on DOE Heating Capacity less an allowance for normal piping and pickup as determined by the Testing and Rating Standard for Low Pressure Cast Iron Heating Boilers of the Hydronics Institute. Water ratings are based on a piping and pickup factor of 1.15. Steam ratings are based on a piping and pickup factor of 1.33. 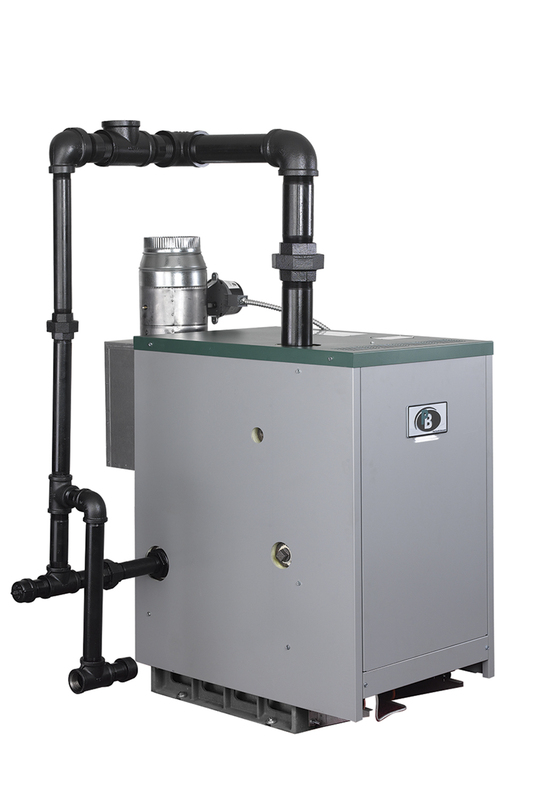 Consult PB Heat before selecting a boiler for gravity hot water installations or for installations having unusual piping and pickup requirements such as exposed piping, night set-back, etc. Ratings shown are for elevations up to 2,000 feet. For elevations above 2,000 feet, ratings should be reduced at the rate of 4% for each 1,000 feet above sea level. Minimum Natural Gas Inlet Pressure exceptions: 63-06 SPRK 5.3”.